When choosing a theme for your wedding, often people want it to reflect their personalities, taste and identity as a couple. This may be something as simple as picking a colour scheme or as elaborate as evoking the atmosphere of a special country you’ve visited together or a shared hobby. One easy and highly-effective way of achieving this is to hire furniture to help set the tone and create your wedding theme. Whether you want formal fine dining or wish to create a laid-back and relaxed atmosphere, your choice of furniture can greatly enhance the overall mood you wish to create. Beautiful dining chairs will help to set an elegant atmosphere and enhance each table setting to greater effect. The use of statement pieces of furniture around your venue can contribute to your theme and really add the “wow” factor you want to give your guests. You could opt for an ultra-modern monochrome theme with black or white dining sets, or choose sumptuous period-style pieces to fit with an opulent historical theme. Imagine using beautiful chaises longues to help foster a romantic or boutique atmosphere, or fabulous leather or fabric-covered designer armchairs to help create a winter wonderland or heritage feel. 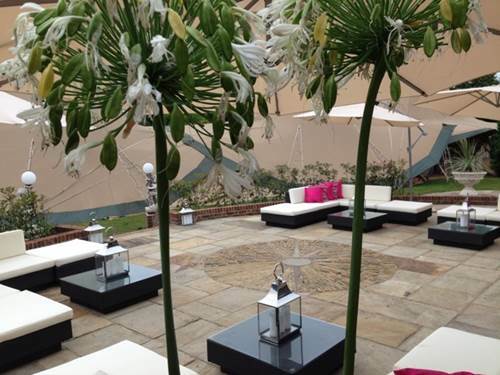 Forming a chill-out area within your wedding venue is a great way to help you and your guests relax, mingle and enjoy the day. 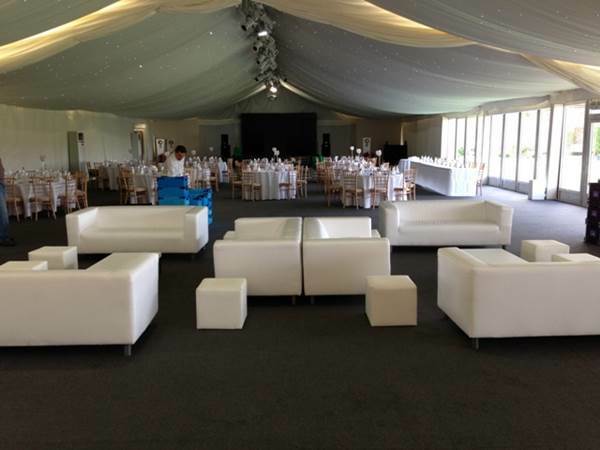 You can use modular sofas, seats and daybeds to create a separate area or “room” within your venue and enhance your overall theme. Check out some of these for inspiration. Fancy lounging in an opulent Moroccan souk? Try a four-poster daybed draped with curtains and lanterns dotted casually around. Would you love to recreate those amazing luxury Mediterranean bars where the hours fly by? Low sofas and coffee tables would be perfect for this. Whether you want a relaxed club-lounge feel or something more vintage-inspired, the right choice of furniture can create this atmosphere for you. Your theme can be further enhanced by using coloured scatter cushions and ottomans to coordinate with your colour scheme. 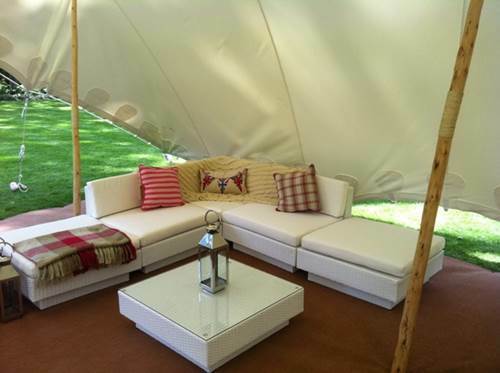 If there is any outside space at your wedding venue, such as outside a marquee, this can also be used as an informal seating area with sofas and daybeds, accessorised with fabulous large sunshade umbrellas or patio heaters for the cooler months or chilly evenings. Deckchairs in linen or fabulous stripes could be used to create a wonderful vintage tea-party or seaside theme; these would look quirky used inside too! 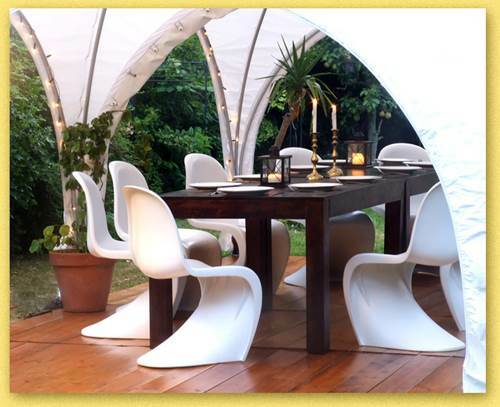 You may have the option of dining outside for your wedding, in which case your furniture will need to be appropriate for outdoors but, of course, still elegant enough for a very special occasion. 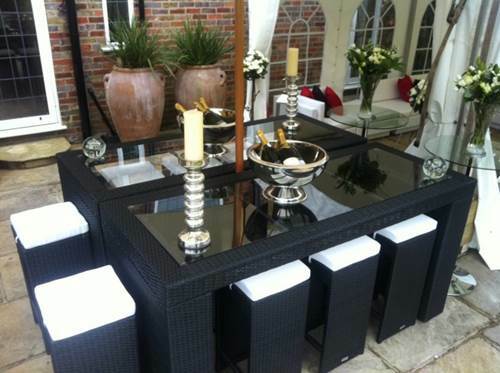 Smart rattan furniture with glass-topped tables looks amazing and can be used to bring a wedding ambience into the great outdoors. Whether you wish to make the most of an English country garden for your theme or are invoking an elegant Ibiza holiday atmosphere, fantastic outdoor furniture will create the right impression and enhance your outdoor surroundings to their full effect. 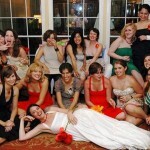 Two main focal points of any wedding are often the flowers and the wedding cake. These are integral to your chosen theme and a great way to draw your overall look together. 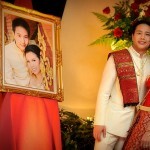 Consider setting off large floral arrangements or your wedding cake itself on striking plinths or tables of their own. Mirrored ones look fantastic and will not only amplify the impact of your centrepieces but add subtle light and movement to your surroundings. Whatever you have chosen as your wedding theme, the atmosphere and impression you create within your venue will be essential to the sense of occasion. 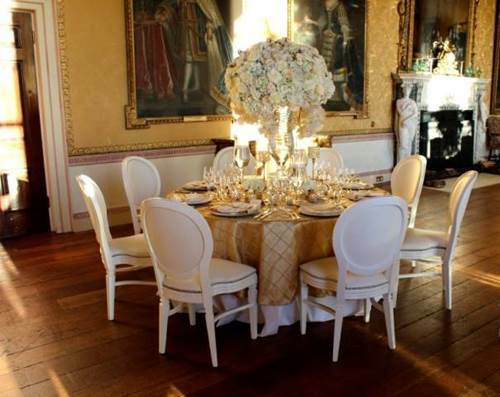 Hiring some gorgeous furniture can both magnify and directly enhance your chosen theme which will be at the very heart of your special day. 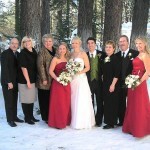 Is An Outdoor Wedding Reception In Winter Just Plain Crazy?